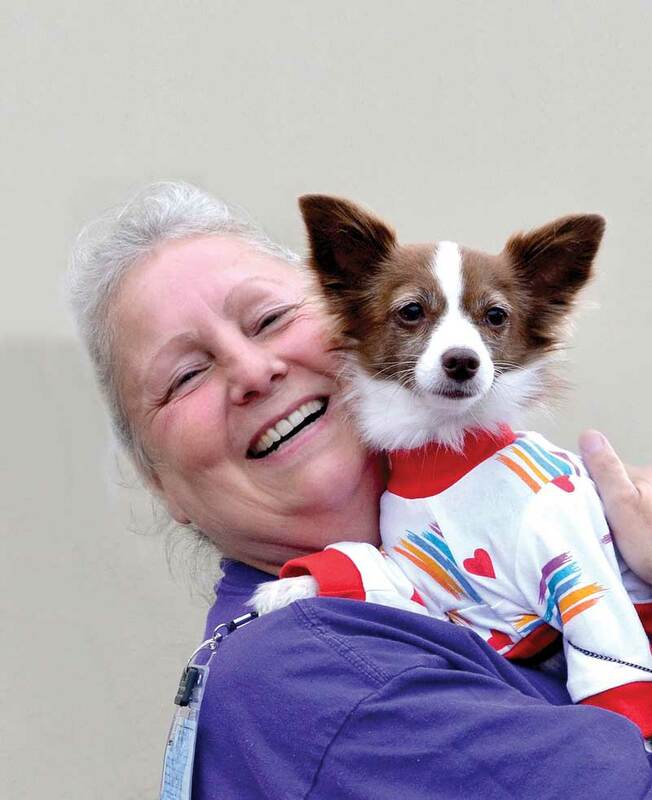 Staying true to the mission of “People Helping Animals and Animals Helping People,” Helen Woodward Animal Center created a new program in late 2017. 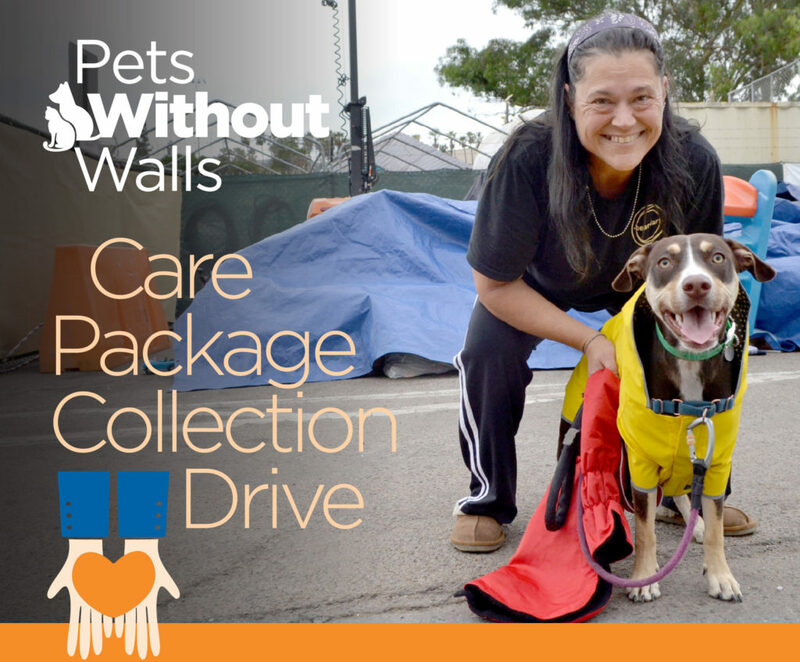 Pets Without Walls helps homeless San Diegans by keeping their four-legged companions fed and healthy. 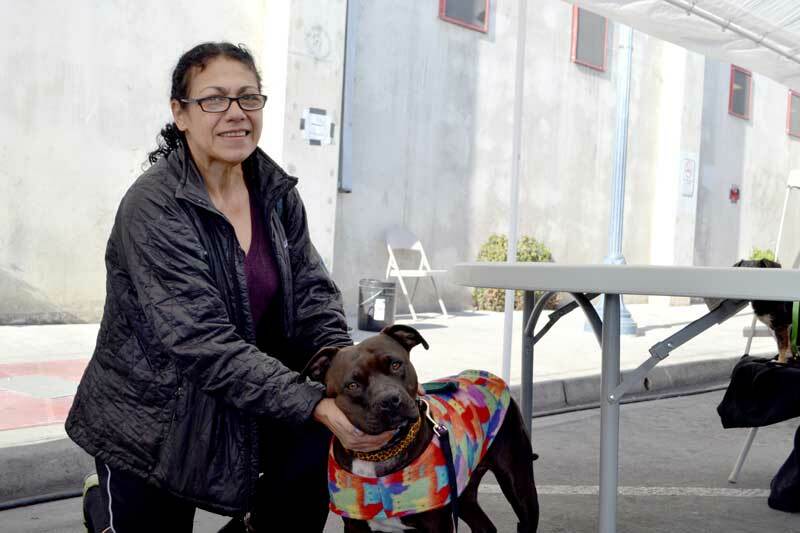 The bond between people experiencing homelessness and their pets is strong, in doing our part to support the health of these pets, we help keep them with their beloved owners through the hardship of homelessness. 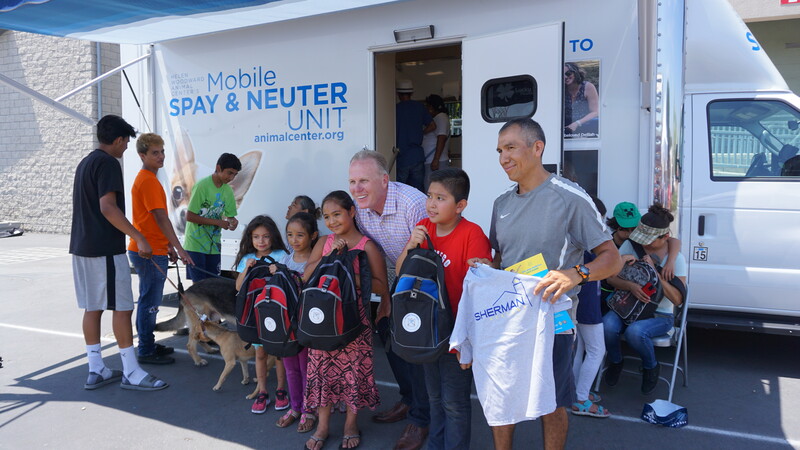 The Center’s work is made possible thanks to the Lucky Duck Foundations’ support for the Spay and Neuter Mobile Unit. With that state-of-the-art clinic on wheels, Center veterinarians and medical staff visit Father Joe’s Village, Interfaith Community Services, Alpha Project, and special events for One San Diego. 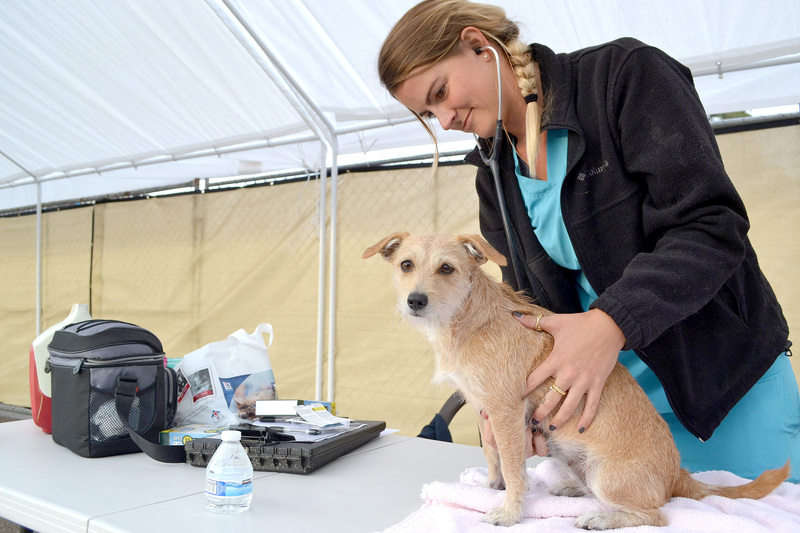 They provide health checks, microchipping, spays and neuters, preventative medical care, life-saving vaccinations and flea and tick medication to the cats and dogs cared for by area pet lovers experiencing homelessness. 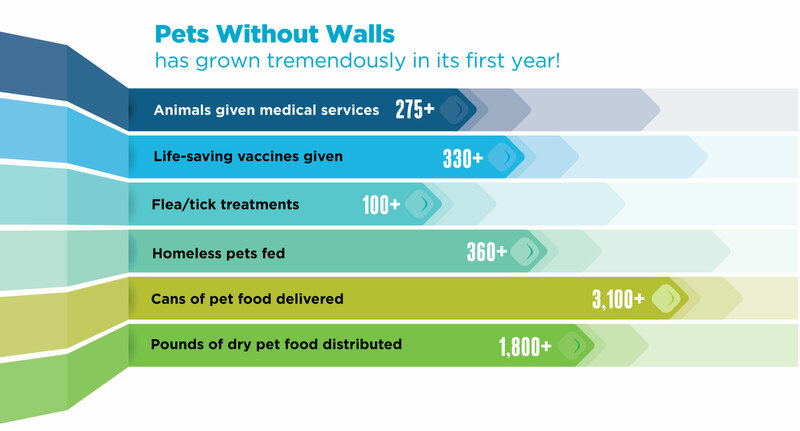 Through the Center’s AniMeals program, Pets Without Walls is also able to provide pet food at these sites. Are you looking for another way to help those facing homelessness in San Diego County? We are collecting the following items to be handed out to homeless individuals during our Pets Without Walls visits. You can also help the animals of homeless families by donating pet food through our AniMeals program.